TradeStation Mobile. Stay in touch with your trading while on the go. TradeStation Mobile puts the power of TradeStation in the palm of your hand. 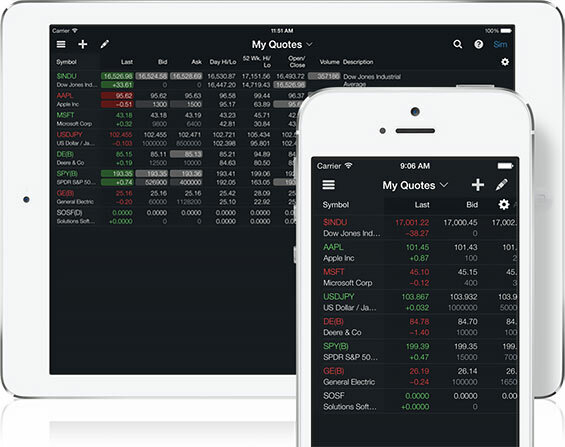 Use your mobile device to analyze markets, place trades and manage orders – from virtually anywhere, at any time. 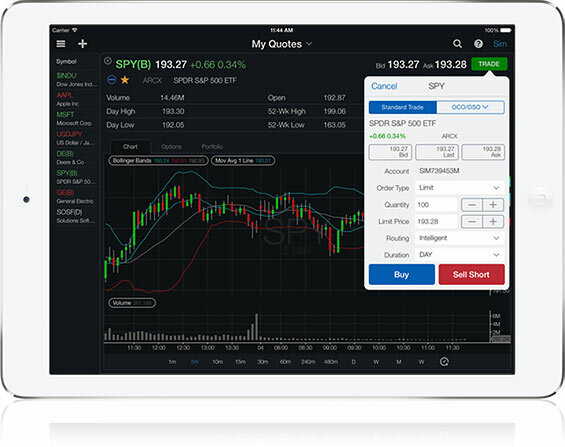 Whether you trade stocks, options, futures or forex, TradeStation Mobile easy-to-use mobile interface makes it easy to stay plugged in to the markets and your account. The Quotes view within the TradeStation Mobile app updates continuously, allowing you to monitor a custom list of up to 30 symbols streaming in real time. The Quotes view allows you to view streaming quotes, manually sort and rank symbols and show, hide and re-order columns. TradeStation Mobile lets you do more than perform simple tasks like checking quotes and balances. 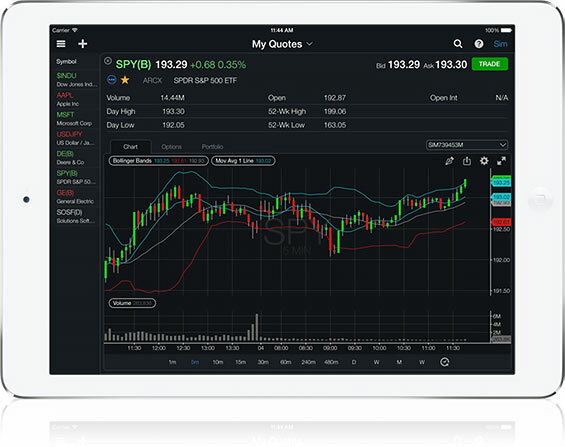 Many of the advanced charting tools in their desktop software can now be accessed from your mobile device, allowing for extensive chart analysis capabilities even when you’re on the go. Access the most popular analysis techniques favored by active traders, including the ability to draw charts with the most commonly used indicators and customize the parameters of those indicators. Need to find a symbol but can’t recall the exact letters? 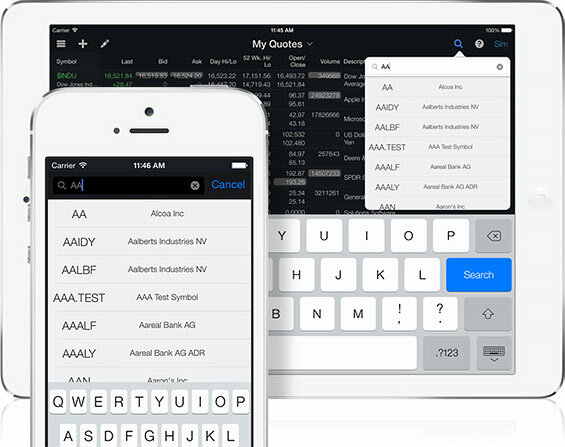 Use the Symbol Search feature within TradeStation Mobile to quickly and intuitively find your symbols. Just type in the symbol’s first letters and Symbol Search instantly retrieves a list of possible symbols conveniently arranged in alphabetical order. TradeStation Mobile offers an intuitive and streamlined order-entry interface lets you seize trading opportunities for virtually any asset – stocks, options, futures and forex – as they occur. Just tap your mobile device to select the size, type, routing and duration of your trade and fire off your order. The TradeManager display within the TradeStation Mobile app offers a bird’s-eye overview of your account activity, making it easy to toggle between accounts to monitor the status of your positions and orders with a single screen view. You can check your buying power, track open/filled/cancelled orders and view position status and account balances.